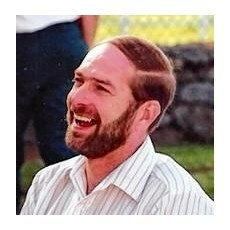 John was a licensed pilot with almost 3000 hours of flying time. At the time of his death, he was flying his Extra EA-300/L, a two-seat unlimited class aerobatic airplane, in which he had over 1000 hours of flying time. John's fascination with flying began at a very early age due to the influence of his father's service in WWII as a combat fighter ace. 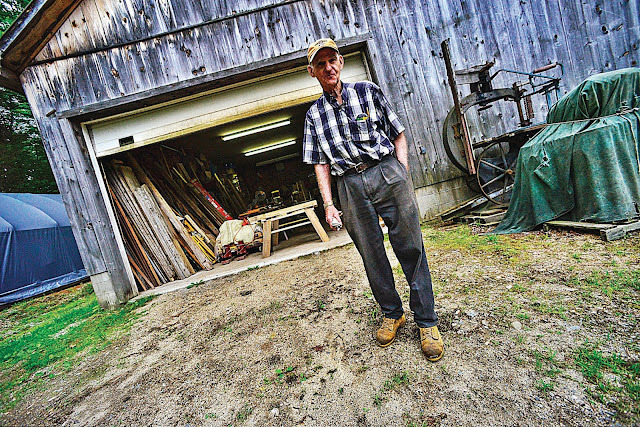 At the age of 14, John began flying gliders which began his over 50 year love of flying that culminated in his most recent accomplishment of finishing 1st place in his skill class at a recent aerobatic competition. He is remembered as a man who loved his family, who valued hard work, with an undeniable passion for aviation. On July 13, 2017, about 1125 eastern daylight time, an Extra Flugzeugbau GMBH EA 300/L, N210MX, was destroyed after it impacted trees and terrain near Winchester, New Hampshire. The private pilot was fatally injured. The airplane was owned by the pilot who operated it under the provisions of Title 14 Code of Federal Regulations Part 91. 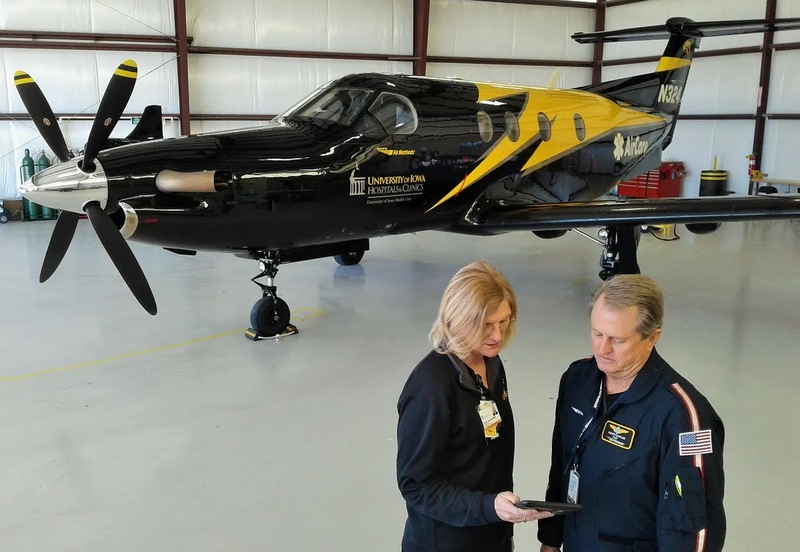 Instrument meteorological conditions prevailed, and no flight plan was filed for the personal flight, which originated about 1030 from Danielson Airport (LZD), Danielson, Connecticut, and was destined for Hartness State Airport (VSF), Springfield, Vermont. According to the pilot's son, the pilot was flying to VSF to compete in an aerobatic competition being held that weekend. The pilot would typically fly to the competition airport on a Thursday morning in order to practice in the aerobatic box that afternoon. The competition would take place on Friday and Saturday. A review of radar data provided by the Federal Aviation Administration (FAA) indicated that the airplane was flying on a northerly heading before it made two complete right turns, followed by a larger diameter sweeping right turn, and abrupt and rapid diversions from the en route altitude. The last 3 minutes of data indicated that the airplane climbed from 2,000 ft mean sea level (msl) (about 1,300 ft above ground level) to 6,425 ft msl. The airplane then began to descend, and radar contact was lost at 5,800 ft msl, about 35 miles from the destination airport. A witness heard the airplane and went into a field to watch it. He described the airplane performing "aerobatics" in a very "low cloud ceiling." Several minutes after he began watching the airplane, it descended "so low" that he and his son began waving at it. Then, about 1125, the airplane "went into a high vertical climb," and climbed to an altitude at which the witness could barely hear it. The witness then heard the airplane descending. He watched it descend through the bottom of the clouds and continue "straight down," then heard the sound of impact. He stated that the time between the airplane's descent out of the clouds and impact was about "2 to 3 seconds." 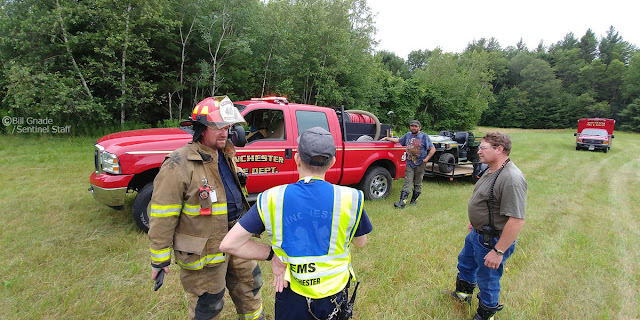 Another witness reported hearing the airplane's engine before the accident and reported that it sounded like "it was racing," and that the "rpms were high." 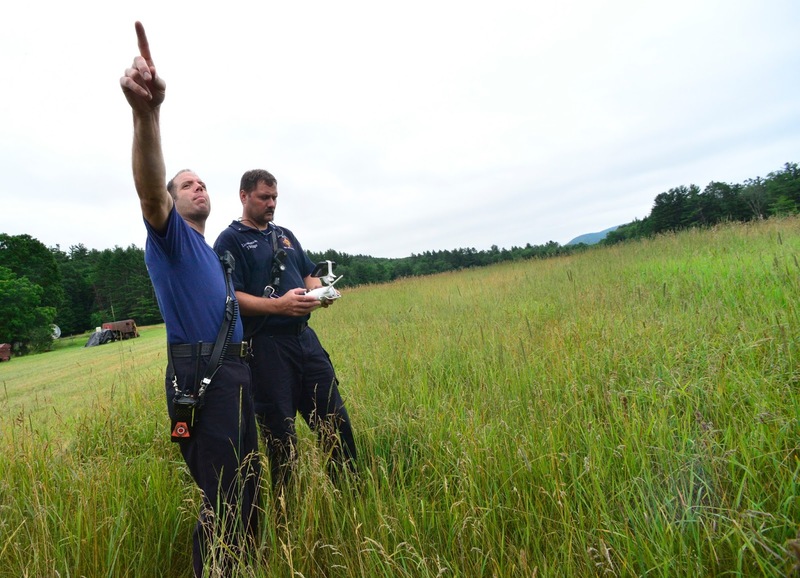 According to FAA records, the pilot held a private pilot certificate with a rating for airplane single-engine land. The pilot was issued a third-class FAA medical certificate on October 19, 2016, with the limitation that he must wear corrective lenses. At that time, he reported 2,810 total hours of flight experience and 108 hours during the previous 6 months. 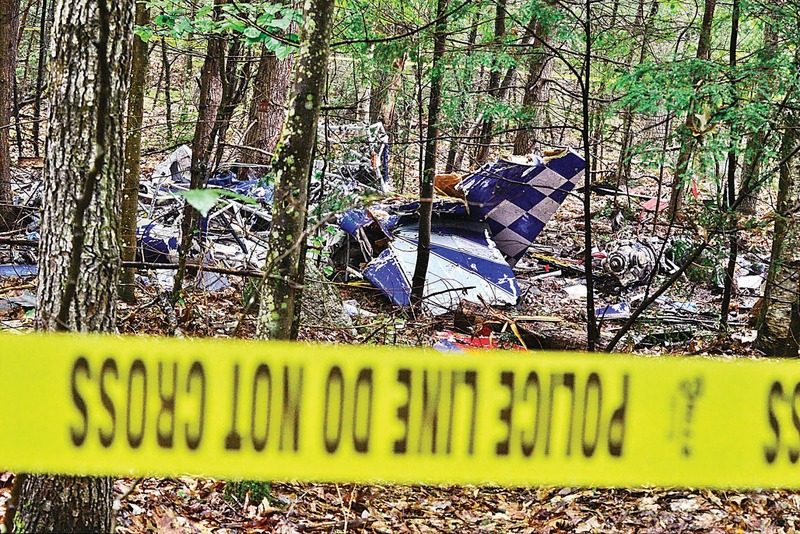 The pilot did not hold an instrument rating. According to FAA records, the two-place monoplane was manufactured in 2005 and was registered to the pilot in 2006. It was equipped with a Lycoming AEIO-540-L1B5 series, 300-horsepower engine that drove a four-bladed, constant speed, MT-Propeller. According to airplane maintenance records, an annual inspection was completed on April 18, 2017, at 956.57 total aircraft hours. A placard located in the cockpit stated, "This airplane is certificated for VFR day operation." At 1052, the recorded weather observation at Orange Municipal Airport (ORE), Orange, Massachusetts, about 11 miles south of the accident site, included wind from 040° at 7 knots, visibility 10 miles, overcast clouds 800 ft above ground level (agl), temperature 19°C, dew point 18°C; and an altimeter setting of 30.00 inches of mercury. At 1056, the recorded weather observation at Dillant-Hopkins Airport (EEN), Keene, New Hampshire, about 11 miles northeast of the accident location, included wind from 010° at 4 knots, 10 miles visibility, an overcast ceiling at 1,200 ft agl, temperature 16°C, dew point 14°C, and altimeter setting of 30.02 inches of mercury. According to a NTSB Senior Meteorologist, the observations from ORE and EEN surrounding the accident time indicated instrument flight rules (IFR) to marginal visual flight rules (MVFR) ceiling conditions. With a northeast surface wind east of the Appalachian Mountains and a surface high pressure center in place over the northeastern United States, cold air damming (CAD) conditions were likely. The self-reinforcing CAD allowed for continued IFR ceilings north of the warm front at the accident site at the accident time. In addition, a review of visible and infrared data from the Geostationary Operational Environmental Satellite number 13 (GOES-13) indicated abundant cloud cover above the accident site at the accident time. The cloud cover increased dramatically along the airplane's northerly route of flight. Infrared imagery indicated higher cloud tops located northeast through west of the accident site, with the highest cloud tops over New York. Based on the brightness temperatures above the accident site and the vertical temperature profile provided by the upper air data sounding, the approximate cloud-top heights over the accident site were 22,000 ft at 1115. A search of official weather briefing sources revealed that the pilot did not contact Leidos or Direct User Access Terminal Service (DUATS) for weather information. 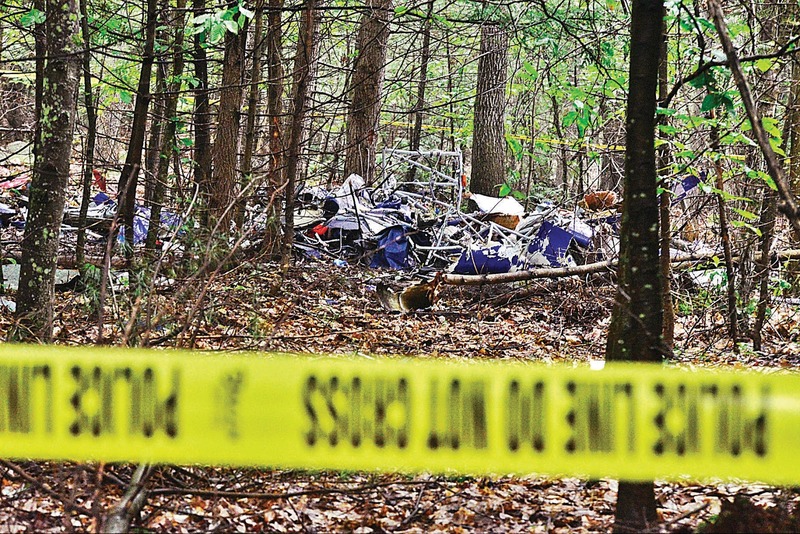 An archive search of ForeFlight data revealed that the pilot did not gather weather information from ForeFlight before or during the accident flight. It is unknown if the pilot checked or received additional weather information before or during the accident flight. Examination of the accident site revealed a strong odor of fuel. All major components of the airplane were accounted for at the scene. 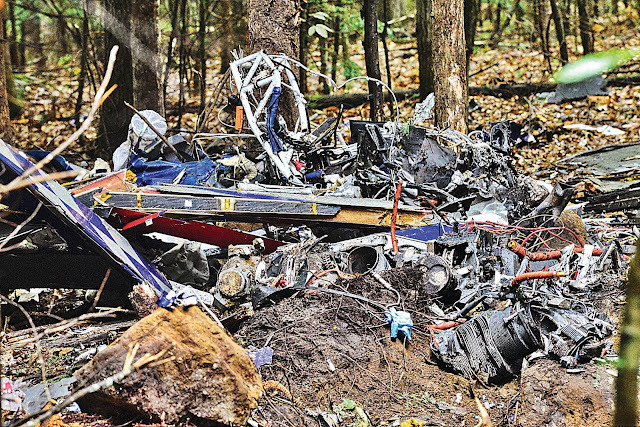 The main wreckage came to rest oriented on a 025° heading in a heavily wooded area at an elevation of 680 ft msl. Impact damage was observed on a 100-ft-tall tree that was consistent with the airplane impacting the tree before impacting the ground about 25 ft beyond the tree strike. There were a few branches between the tree strike and the main wreckage location that exhibited 45° cuts. In addition, chips of white paint were lodged in the wood. The main wreckage came to rest about 15 ft beyond the initial impact crater against two trees. The initial impact crater was about 4 ft deep and about 6 ft in diameter. Linear ground scars consistent with the length and dimension of the leading edge of each wing were visible on either side of the impact crater. The cockpit was destroyed and fragmented by impact forces. The cockpit instrument panel was destroyed, and the flight and performance instruments were separated. No useful information was obtained from the instruments. The attitude indicator was not located and the turn coordinator face was destroyed. Flight control continuity was obtained from all flight control surfaces to the cockpit through breaks and fractures consistent with overload. The right wing was impact-separated and fractured. A majority of the pieces were located forward of the impact crater. The left wing was impact-separated and fractured. Several sections of the left wing and aileron were located aft of the initial impact crater. The empennage remained attached to the fuselage. The left horizontal stabilizer and elevator remained attached to the empennage. The rudder remained attached to the vertical stabilizer and displayed impact damage along about 8 inches of its upper section. The right horizontal stabilizer was impact-separated but remained attached to the empennage by control cables. The right elevator was impact-separated and was located just aft of the right horizontal stabilizer. The elevator trim tab was impact-separated but remained attached to the right elevator through cables. All four wooden propeller blades were impact-separated and fragmented. Several pieces of the propeller blades were located in the initial impact crater and a few pieces were located about 25 ft from the initial impact crater. The propeller hub remained attached to the crankshaft flange. The engine came to rest upright, facing opposite the direction of travel. Three of the four engine mounts were impact-separated from the crankcase. Impact fractures were noted throughout the crankcase and sections were missing on the Nos. 1, 3, and 5-cylinder side. Cylinder No. 1 was impact-separated from the engine. Cylinder Nos. 3 and 5 were impact-separated from the crankcase but remained attached through the piston and connecting rods. The No. 2 cylinder head was impact-separated, and the Nos. 4 and 6 cylinders remained intact and attached to the crankcase. All cylinders exhibited impact damage on the cooling fins. The Nos. 3, 5, and 2 pistons were visible, and carbon deposits were noted on the piston faces. The crankshaft would not rotate; however, no fractures or thermal discoloration were noted. 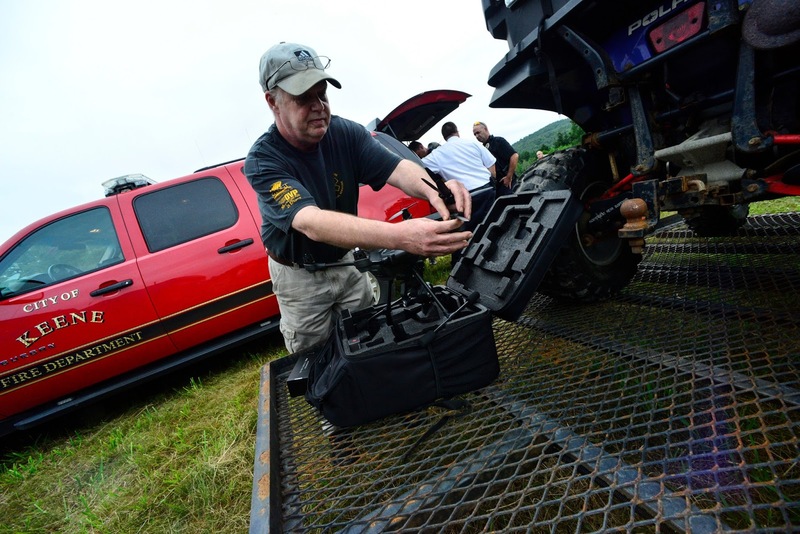 The camshaft remained intact and no anomalies were noted with the visible camshaft lobes. No thermal discoloration or damage was noted inside the engine crankcase. 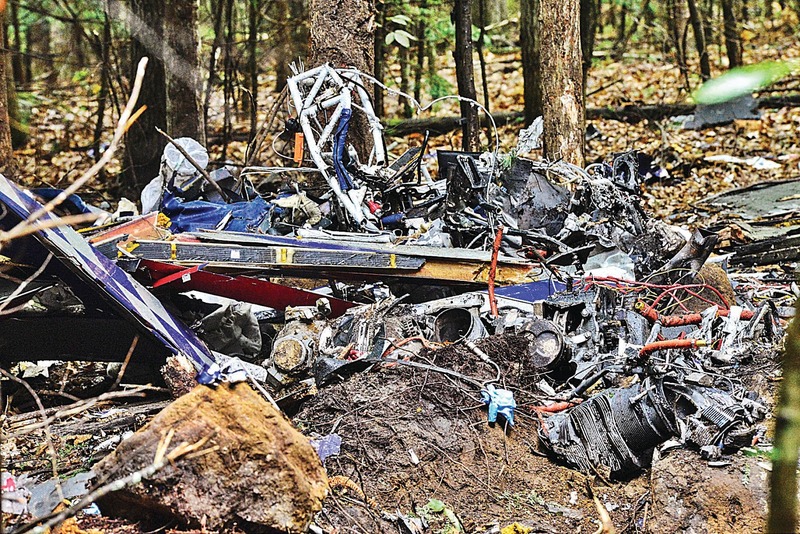 A JPI EDM 700 engine monitor was retained and sent to the NTSB Recorders Laboratory for data download. The data indicated that the engine was operating throughout the flight without anomaly. 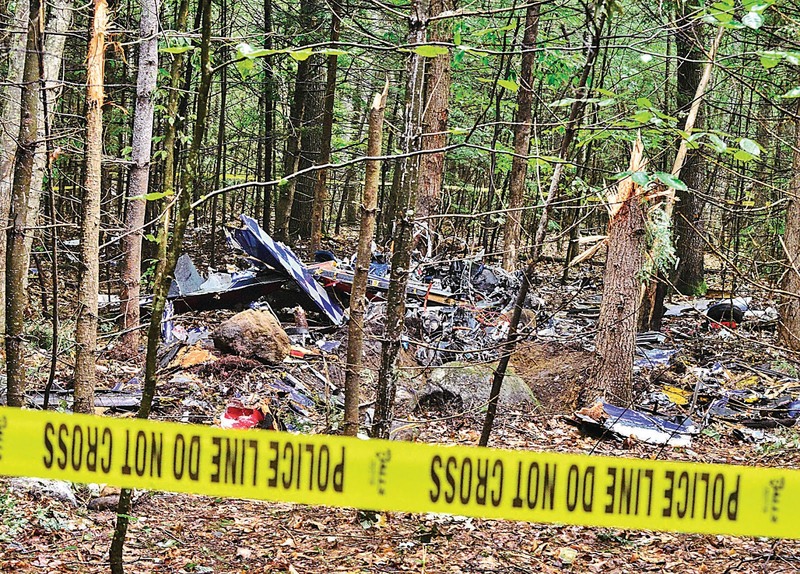 The State of New Hampshire Office of the Chief Medical Examiner, Concord, New Hampshire performed the autopsy on the pilot. 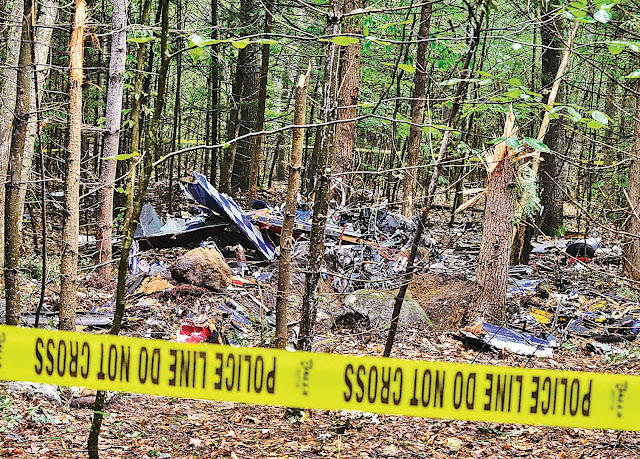 The autopsy report indicated that the pilot died as a result of multiple blunt impact injuries. The FAA's Bioaeronautical Sciences Research Laboratory, Oklahoma City, Oklahoma, performed toxicological testing of the pilot. Fluid and tissue specimens from the pilot tested negative for carbon monoxide. The test indicated 105 mg/dL of ethanol in the liver, but no ethanol in the kidney, which was consistent with postmortem production. The testing identified 0.2965 ug/ml of tetrahydrocannabinol (THC) in the lung and 0.366 ug/ml of THC in the kidney. In addition, 0.4511 ug/ml of 11-carboxytetrahydrocannabinol (THC-COOH) was detected in the kidney and 0.0766 ug/ml THC-OOH was detected in the lung. THC is the primary psychoactive compound in marijuana and THC-COOH is the primary non-active metabolite of THC in liver tissue. The attitude of an aircraft is generally determined by reference to the natural horizon or other visual references with the surface. If neither horizon nor surface references exist, the attitude of an aircraft must be determined by artificial means from the flight instruments. Sight, supported by other senses, allows the pilot to maintain orientation. However, during periods of low visibility, the supporting senses sometimes conflict with what is seen. When this happens, a pilot is particularly vulnerable to disorientation. The degree of disorientation may vary considerably with individual pilots. Spatial disorientation to a pilot means simply the inability to tell which way is "up." The AC notes that a disoriented pilot may place an aircraft in a dangerous attitude, and recommends that pilots, "not attempt visual flight rules flight when there is a possibility of getting trapped in deteriorating weather." According to FAA Advisory Circular AC 60-22, Aeronautical Decision Making, "pilots, particularly those with considerable experience, as a rule always try to complete a flight as planned, please passengers, meet schedules, and generally demonstrate that they have 'the right stuff.'" One of the common behavioral traps identified was "Get-There-Itis." According to the AC, "common among pilots, [get-there-itis] clouds the vision and impairs judgment by causing a fixation on the original goal or destination combined with a total disregard for any alternative course of action." Get-There-Itis is also known as hurry syndrome, plan continuation, or goal fixation. 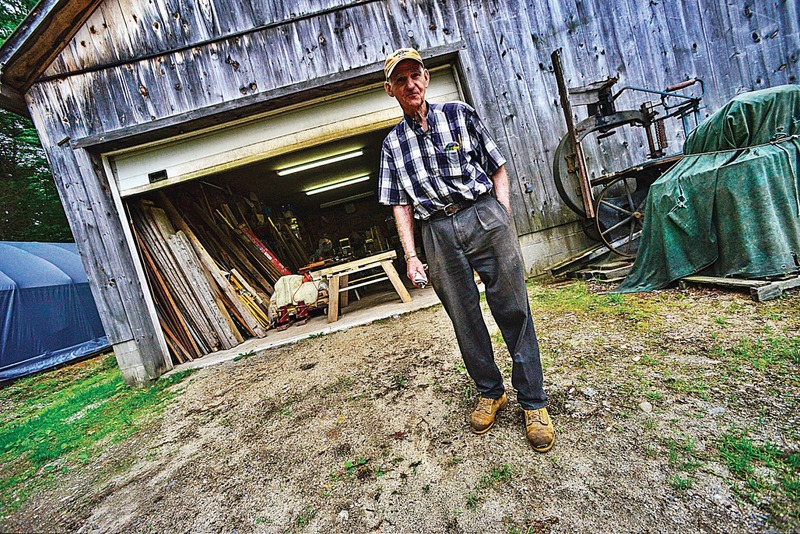 Bradley Brewer, of 342 Manning Hill Road, in Winchester, New Hampshire, stands in the spot where he said he heard an aircraft go down around 11:30 a.m. on July 13th, 2017. 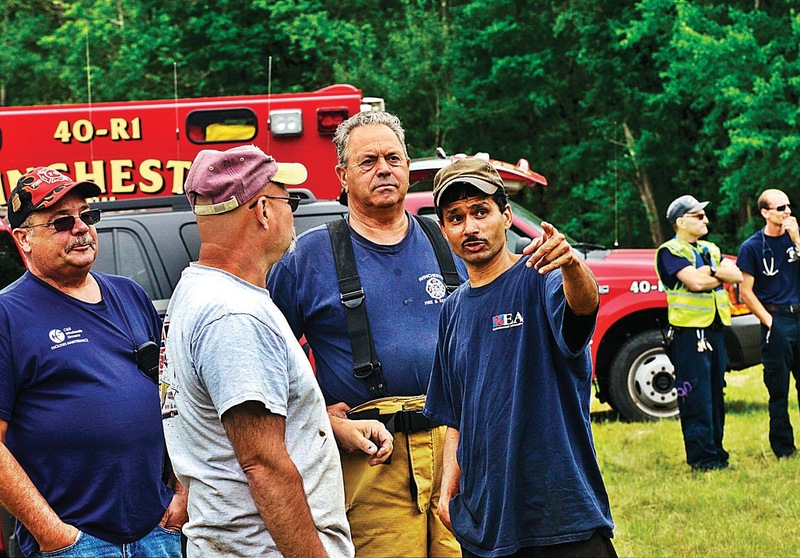 Kumaran Spaulding talks with emergency personnel about a plane crash at 375 Scotland Road, in Winchester, New Hampshire, around 11:30 a.m. on July 13th, 2017. 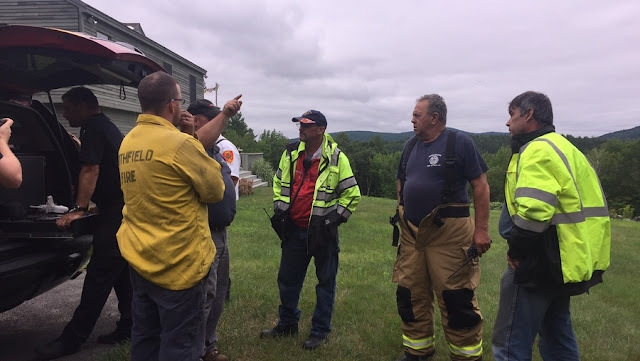 Spaulding said he was out in the field with his son, Darian, when they heard the sound of an airplane engine throttling up and down, then saw the plane exiting the clouds going over the tree line. The father said he may have heard a crash; the son said the valley suddenly went silent. 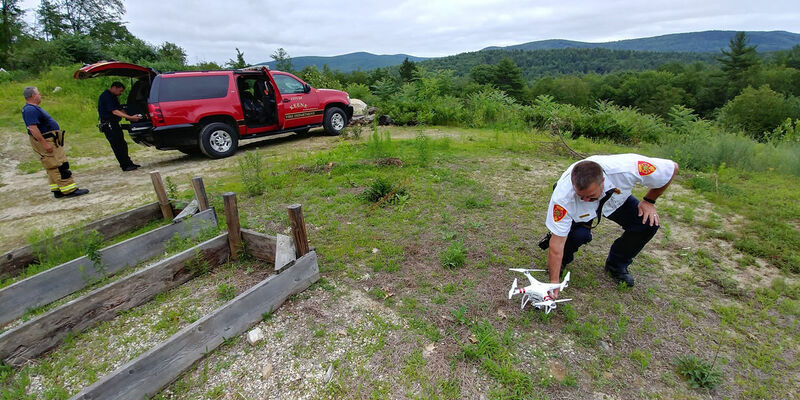 Dennis Croteau, of Walpole Rescue, from Walpole, New Hampshire, prepares a Typhoon H model drone at 375 Scotland Road, in Winchester, New Hampshire after witnesses said they saw the plane crash around 11:30 a.m. on July 13th, 2017. 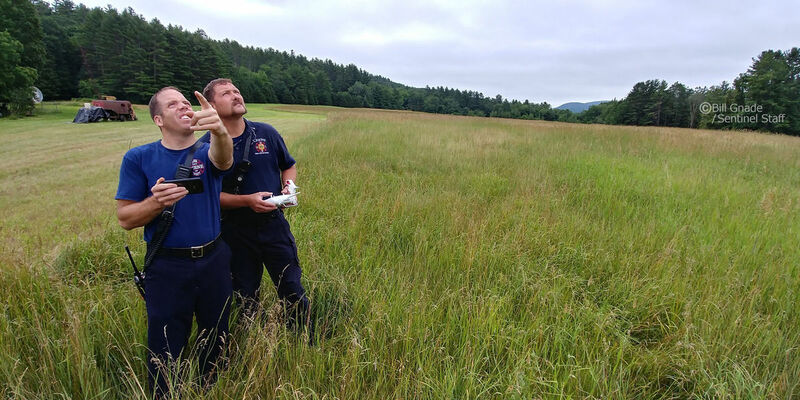 Keene, N.H., Fire Department Lt. Aaron Cooper points while Lt. Raymond Phillips operates a DJI Phantom 3 Drone while searching the area for the Extra EA-300/L that had crashed. Another fatal crash where the pilot had THC in his system. I think they should do toxicology screenings on motorists involved in auto crashes. I bet there is a high percentage of drivers driving "high" especially in "liberal" states that push pot like it's as safe as "mother's milk"! God help us all when then legalize it just to cash in on the taxes generated from it, to hell with public safety. I'm so sick of the media and liberal politicians touting the benefits of pot for everything from headaches to sleeplessness. There's a reason it's called dope!